The Committee was scheduled to be briefed by the Department of Water and Sanitation on its 2015/16 Annual Report. This briefing was scheduled to take place after the Committee received a presentation on the Department’s audit outcomes from the Office of the Auditor-General. The Committee decided to postpone the engagement with the Department as neither the Minister nor her deputy was present. The Office of the Auditor-General reported that the Department and the Water Research Council’s (WRC) outcomes were unqualified with findings. The Water Trading Entity’s (WTE) findings were qualified with findings. In the previous financial year the Department had the qualified outcome and the entities were unqualified with findings. The main account therefore improved but it was the WRC’s performance that was, at this point, the most satisfactory – mainly because they were producing useful information (although this was an indicator that was not well defined) The WRC, who improved from last year, were complimented for their good leadership and their financial performance. Fruitless and wasteful expenditure were down from the previous financial years’ R68 million to R13.8 million, as was disclosed in the Departments’ annual report, but irregular expenditure had a significant spike and was R1.7 billion (R1 765 million) compared to R431 million in 2014/15. Of this R1.3 was identified as projects that reside in the Department and were executed by implementing agents. The main message was to stress that the Department was not excused where they had an implementing agent and it was for them to make sure the processes were above board. Much concern was raised over the use of the Water Boards as implementing agents – mostly because what should be only emergency procedure now seemed to become the norm and therefore procurement procedures being left out were becoming the norm. The Auditor General will take over the auditing of all Water Boards in the next financial year. Other hair-raising claims were the raising of the wall of the Clanwilliam Dam. The Dam Building Agency started the Clanwilliam Dam project, with local workers (some for whom houses were rented) The project was then “politically stopped” and it went out on tender. People were still being paid without working. The original budget of R3 billion already seems to have raised to R4 billion while the work was further delayed by future rainy seasons. On a positive note the Auditor-General said they had seen efforts and cognisance from the Department, and that were comfortable with the Portfolio Committee. The Chairperson opened the meeting by being mindful of and mentioning a serious scuffle between the SA police (SAPS) and students at the Nelson Mandela Metropolitan University on that day. When matters were pursued after arrests were made in “Fees must Fall” protests - it came out that four out of nine were not students. But what was most important was that the work of both the Department of Water and Sanitation and the work of the Auditor-General of South Africa (AGSA) must continue. The lives of our people must improve for the better. Having receiving apologies from both the Minister and Deputy Minister for the briefing by the Department on their 2015/16 report that was supposed to be held on that day, the Chairperson refused to go ahead with that briefing. The executive must be accountable. Meetings with the Department and the entities - the Water Trading Entity (WTE) and the Water Research Commission (WRC) would now be held the following Thursday and Friday. 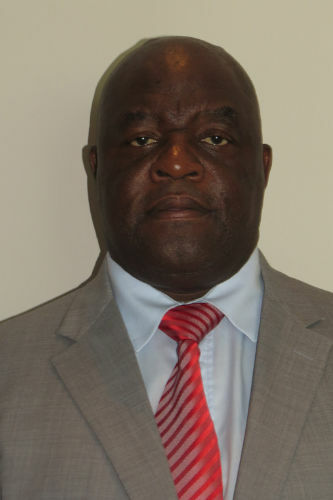 He announced the good news that Committee Member Ms N Bilankulu (ANC) was getting married and that the Assistant Secretary, Ms Zoleka Moa was promoted and was the new Acting Secretary for Defence. Mr Stephen Kheleli (Senior Manager, AGSA) said he hope it would assist the Committee to understand the situation before meeting with the Department. Although neither the Department nor the entities had adverse or disclaimed opinions they were in the middle of the scale and not in the green. The Department and the Water Research Council’s (WRC) outcomes were unqualified with findings. The Water Trading Entity’s (WTE) findings were qualified with findings. In the previous financial year the Department had the qualified outcome and the entities were unqualified with findings. The main account therefore improved but it was the WRC’s performance that was, at this point, the most satisfactory – mainly because they were producing useful information (although this was an indicator that was not well defined) The WRC, who improved from last year, were complimented for their good leadership and their financial performance. The provision of water cuts across all three spheres of government; all three spheres have to put in effort. Integrated planning was needed to break down barriers. Management did not respond quickly enough, they should respond quicker. 30% of targets were not specific. Reliability – it would be stated that more was achieved than could actually be found evident. For example, the AG had trouble to obtain lists from municipalities of how many households were provided with water. Some, when providing such lists were estimating information. Not complying with legislature – both the Department and the entities provided financial statements with issues for example providing information that was not credible and reliable. This raised further concern 1) it highlights the lacking maturity of internal control and 2) Statements were supposed to be a body of information to be used throughout the year to make decisions. There were also issues with the controls and processes to prevent irregular expenditure which made it difficult to see if the budget was used for what it was supposed to be used. To bridge the gap between predetermined results and results was difficult. Two key projects under Programme 3, Indicator 38 – “two dams where betterment was implemented” - were selected for audit. For the raising of the Hazelmere Dam, in KwaZulu-Natal the budget was R498 million. Up to date R209 was spent and some boxes of predetermined objectives could be ticked – but the raising of the Clanwilliam Dam was a different story. For this project no boxes could be ticked even though R353 million was spent to date. The money was spent on site establishment and the construction of the N7 road by SANRAL and the target of placing a 79 166m³ was not achieved. Mr Kheleli said the AG had serious concerns with the implementing agents. They needed to be placed under more control. Lack of proper communication in the sector and regional offices about delivering of projects, planning, compliance. There was commitment received form the executive authority. * To strengthen the internal controls within the Department. * To strengthen the internal controls with reference to implementing agents. The Chairperson thanked the AGSA for their report. Hearing that AGSA spent a bit of time on the implementing agents he said he was expecting them to be more specific by way of example. Ms Surette Taljaard (Senior Manager of AGSA) said in the past the Water Boards were not audited by AGSA. In the following year they would be. For now, AGSA started to have Work Shops with the Water Boards emphasising that the controls should be strengthened in the supply chain. The Chairperson said again that he they would use examples, for instance to state the main area of concern. Ms Taljaard said they selected projects that the implementing agents were doing and that supply chain procedures at the implementing agents of those projects were audited. They found the implementing agents use the emergency route and did not go through the tender process even for multi-year projects. They also engaged with the current auditors of the Water Boards. Mr H Chauke (ANC) asked for clarity regarding the transfer of the Department’s allocation to implementing agents. How much did it constitute of budget percentage? He was looking at a resolution that was taken some time back – that the Department would not proceed using water boards as implementing agents. Was the AG aware of that? How do we deal with that? By a way of example, if more than 80% of the budget percentage was used by agents it was not possible to audit the Department fully. He was trying to get deeper into what constituted AGSA’s audit. He also asked what law permitted the Department to do that, to give them the right to use Water Boards as implementing agents. Was AGSA you satisfied with the Department being compliant with the law? Mr D Mnguni (ANC) said the request was made in 2014 to AGSA to audit the Water Boards, why were they not? In terms of performance vs expenditure why was AGSA saying that the Department did well? What was AHSA’s view of the Department – was it optimism rather than strategy to meet the target? If it could happen that Department takes stringent action against implementing agents and other officials on their procedures of supply chain management - what will be the result? How long would it take for the Department to comply with legislation? Was the challenge of the internal audit skill – or human resource related? Lastly Mr Mnguni congratulated the Chairperson and his colleagues for their performance. Ms T Baker (Alt) (DA) asked if it should not be standard practice for the Department to conduct an audit on their implementing agents. We were dealing with finances and money being handed over to implementing agents so surely there should be a standard action? She cautioned AGSA on the use of words in the report that they were investigating the management of a Department and not the leadership of an organisation. Mr L Basson (DA) said he was glad that the AG had done some auditing on the implementing agents/water boards. His concern was that these boards were appointed without a tender process in cases where the Department does not trust the municipalities with funding. Did AGSA get that part of the finding? Was the kind of work done by the Water Boards of critical nature? The Committee’s problems with the Department would not change. He congratulated the Chairperson on his decision to not go forward with the scheduled meeting without the Minister. We heard last week that the Minister appointed a Task Team to investigate matters, but without wanting to dwell on that, that Task Team must report to the Minister, while it was known that the Minister was also involved and should also be investigated. This was not the first time that the AG had informed the Minister that there were serious problems with management. If we can’t fix that we can’t fix the Department. He elaborated that R2.5 billion was lost since the Fifth Parliament started, and also the Department could not manage to get roll-overs from National Treasury which was a huge concern because that money should have been spent on infrastructure. He emphasised that the accountability problem should be fixed. He recalled a time when the Committee was told that a grant could not be spent because the Department could not hand the money over to a municipality because they could not get documentation out. Subsequently ten quantity surveyors were appointed to do the work on behalf of the Department. Since that report nothing has changed. We see more wasteful expenditure. Mr Basson said he thought they should take a hard stance when they faced the Department. If we cannot change it now, we will get the same report next year. Ms N Bilankulu (ANC) asked what the reaction of AGSA was on the line implementation of their recommendation. Mr T Makondo (ANC) asked who the entity was who avoided qualification due to not reflecting material adjustments. He agreed with what the AG said about senior management. There were serious challenges in that regard. We need to up our game in dealing with leadership challenges in the Department. One issue he did not agree with was that it seemed that as long as there was proof of how money was spent it was okay. With a 98.8 expenditure target not achieved he had a problem and he asked the AG to explain that to him. On implementing agents, most of them were emergency projects and he wanted to know how bad supply chain management was. He referred to one project where it was reported to the Committee that an emergency project was going to cost around R500 million but when the expenditure was checked it was closer to a billion. He wanted to understand how bad the situation was. Through an interpreter Ms Khawula asked why she was getting the feeling that AGSA was afraid to criticize the Committee. You say we have done well and yet we were a part of this problem. Two issues came to The Chairperson’s mind: the findings of AGSA’s interaction with the Parliament’s Standing Committee on Public Accounts (SCOPA) She asked that the Committee be familiarised with the issues and findings thereof? If the Department had its own Construction Unit, why was private sector intervention sought at the Clanwilliam Dam? The Chairperson was a strong believer that the Public Works Department had been rendered useless because of the outsourcing of work. He pulled “Vision 2030” into his argument saying that that which was set up in the National Development Plan (NDP), to eliminate poverty and create 11 million jobs, could only be achieved if units such as the Construction Unit were used. He was conscious that he was driving at issues that were not in AGSA’s domain. Adding to what the Chairperson said, Mr Basson, who went on an oversight visit, added that the Dam Building Agency started the Clanwilliam Dam project, spent the R353 million that was mentioned and then the project was “politically stopped” and then the project went out on tender whilst the Department had people to do the work. These people, also some local for whom houses were rented, were now being paid without working. Also, because of the rainy season, there could be a delay of two years. Mr Chauke asked if the recommendations of the Audit Action Plan could be shared. Also, he asked for more details on the issue of irregular and fruitless expenditure. Was it disclosed and if so what was the report? With the Minister of Finance in the limelight and regarding the implementation of the Public Finance Management Act (PFMA): how did the AG adhere to assist with management of general control specifically internal control? Had the AG picked up on the CFO in a Water Board that moved and got a new position but and received the same salary without performing work of a CFO and if it was picked up – what did it constitute? The Department accounts for the work of the implementing agents under Goods and services in their financial statement. If the Water Board did not follow procurement it became irregular in the Department – so it was the Department that was held responsible. (The Water Board only gets a non-compliance) Ms Muller referred to a list of irregular expenditure in the full report (p291). The R1.3 billion was disclosed there with a note saying it was for an emergency project in Lepelle Water in Limpopo. They engaged with National Treasury as well as the Chief Procurement Officer on that matter. The challenge again was that the emergency project route (therefore no procurement process) was followed for multi-year projects. This was now high on the agenda for the auditors that were currently auditing the Water Boards. They were expected to report end of October and it was anticipated that the irregular amount would go up. She answered the question on what will happen there was action against officials, an improvement in service delivery would be seen. The Department’s lack of oversight was concerning AGSA. She used an example of Programme Three and said only six of 29 targets were achieved although the money was spent. But AGSA do not report on the effectiveness on service delivery they report transparency against pre-determined objectives (such as accuracy, validity and completeness of performance information). That was the assurance that AGSA can give the Committee and why they highlighted the Programme where they found reliability issues. She answered that the Department started to use implementing agents when there was a crisis, but now it was becoming the norm. She answered it was the WTE that did not correctly reflect material adjustments in their report. They received a qualification on their infrastructure equipment. Subsequently the WTE lodged a complaint against the AG and was going through the formal appeal process currently. The outcome of that investigation was expected in a week. Regarding the escalating costs of projects Ms Muller answered that that happened when a service provider was not appointed through the right processes and then cannot deliver and subsequently another service provider gets appointed. The two prevalent matters that came to the floor after the last SCOPA interaction was firstly the qualification on the Departments approvals and commitments and inadequate monitoring of implementing agents. The process was now tightened up, after the audit the needed material adjustments were made and AGSA were fairly comfortable that the processes were in place and trust that it will be sustainable. The other matter was the Department being plagued with supply chain contraventions for a while. SCOPA raised the issue to curb irregular expenditure and tighten up internal controls. Mr Kheleli answered that AGSA was not scared to criticise the Committee and that in comparison to other committees AGSA found the Portfolio Committee on Water and Sanitation held more parties and were always following up. It was the Committee who requested that AGSA must look into the Water Boards. AGSA had not yet received reasons why the construction unit was removed from the Clanwilliam Dam. Questions about the sufficient use of the construction unit were very good questions to place in front of the Department. Again, investigation was needed to see if the Water Boards were used for genuine emergencies or not. The transfer amount between the Department and the Water Boards was now absorbed into Goods and Services. That should be possible because the transfers would be different in the sense that they were supposed to be actioned by the Department. Regarding Mr Mnguni’s question about AGSA’s impression about planning in the Department, that would soon be tabled before Parliament as a performance audit report. It was expected that the issues that would come out would be on the need for integrated planning again. Mr Kheleli answered that after every report AGSA prepared an action plan that was presented to the Audit Committee who monitored it on a quarterly basis. All the findings that come out of external audit gets filtered into the action plan. Ms Taljaard said there was and should be a standard practice procedure when using implementing agents and by clauses in the contracts that were signed. The Department should be involved in the supply chain but when AGSA followed up they were told that the documents were with implementing agents. There was a challenge to get the agents’ involvement to get the documents to audit it. Therefore, in short, there was a standard practice procedure but compliance was not sure. On the specifics on the fruitless and wasteful expenditure, one of the specifics AGSA picked up was possible double payments. The Department had consultants in that made very extensive spread sheets (the finding of documents pertaining to projects the past five years) and a lot of possible double payments were picked up that were now being investigated. A concern was raised about the CFO at one of the Water Boards. The Department came back to AGSA with the reply that the person was indeed seconded and that they did not plan to bring the person back to a CFO position. When asked what would happen to her after her secondment AGSA was told she will go to a different position on the same level within the board. Ms Taljaard answered that AGSA did not have any legislation to take action against officials on behalf of government when there was non-implementation of their recommendations. AGSA meets the role players who can do that, though, every quarter to make sure that the messages were enforced. They were in the process of changing the way they had done internal control reviews. Within 12 – 15 months there will be a different format that consists of much more in-depth reviews. Mr Chauke said AGSA was very polite with the Department. He was concerned over the possibility of the qualification changing and even possible corruption if there were a possibility to dig further for a clear understanding of the transfers that were made to implementing agents. The Committee was not able to pick up how much money was being moved. AGSA was the base on which interaction would happen with the Department and that the base needed to be solid. The Department was regressing and the issue of the transfers was immense and that it was important to get the detail about how much was transferred. He had a sense of urgency when he said that water supply was one of the most contested areas, in fact people were killing each other for water. And how do we audit water? Every drop cost about a cent and is that not something we should be looking at in the future? Mr Mnguni asked how the Department was pressed about the CFO that was going into a position for the same salary. Ms Baker wanted to raise a question about the Internal Audit Committee saying that in the previous years’ report the vacancies in the Internal Audit Committee was mentioned as a high risk area. The recommendation was that the budget allocation for the Internal Audit Committee be increased. Could we be briefed on that status? Mr Basson needed explanation on targets. If only six projects were done but all the money was spent was that wrong budgeting or over-expenditure? If they explained that with AGSA it was fine but we want progress in service delivery. Surely that should be a problem. The Committee needed to know whether the money was wisely spent. The Chairperson said that was really the crux of the issue. The lives of the people should be improved for the better. He mentioned fictional examples such as more water, more clean water, a cleaner Hartbeespoort Dam or eradiating buckets and so on. Ms Taljaard answered by saying AGSA audits the implementing agents via the normal auditing process and explained what that entailed. Due to the assistance of the consultants used by the Department they would be able to give the difference of the transfer to agents. She answered that the new Audit Committee members were appointed in March. Mr Kheleli said the audit committee report was also still alluding to a shortage of human resource skills for internal audit matters. This must be looked at as a matter of urgency but the budget aspect has to be looked at. Ms Muller said all matters (fruitless and irregular expenditure) that were reported should be investigated. A number of these would have to go to National Treasury for investigation and then condemnation. It was worthwhile to talk about a performance audit done on the water supply chain. The conclusions should be tabled before Parliament goes into recess. The whole value chains were reviewed and that gives a good picture of the areas where there were flaws in system. The performance investigation that AGSA does was not meeting the expectation of the Committee, but said that will have to be a separate audit performed with specialists. First the focus areas should be established. She suggested a similar meeting like on that day when the Water Boards have tabled their reports. Mr Chauke asked if the AG was ready to do the investigations in the areas identified by the Committee. Ms Muller said they assessed every request and the AG himself decided whether or not to do it. Mr Chauke said the Committee had the power to ask the AG to do an investigation. He again wanted to know if they were ready. Ms Muller said they did have a Special Investigating Unit responsible for such investigations but was hesitant to say they were ready because they were flagged by request. It would definitely be considered. She also committed to engage with the Department of Public Service and Administration (DPSA) on a matter and said they would get back to the Committee. The Chairperson thanked AGSA and said it was work in progress. AGSA Audit outcomes on Water and Sanitation for 2015-16 financial year.